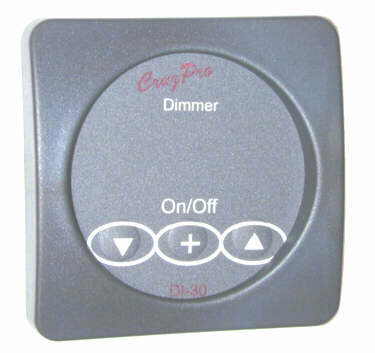 CruzPro 12/24 VDC DI-60 light dimmer and DC motor speed controller come in 8 and 16 amp versions. NOTE: Derate current if driving halogen lights according to inrush current and insure that wire size will support inrush current without dropping power supply voltage to DI60 below 9.5V minimum. 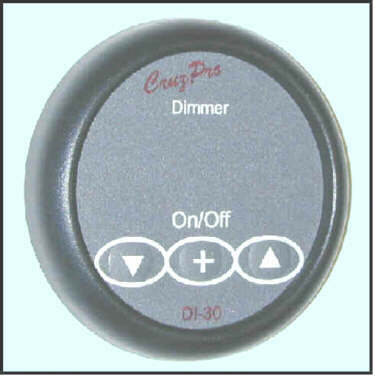 The instant ON/OFF switch remembers the percentage of dimming and enables you to go from OFF to the same level of dimming instantly. 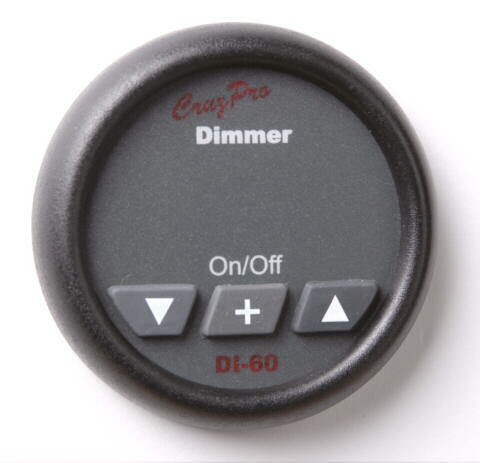 An external input allows you to switch the DI60 ON/OFF from a remote source or use the optional DI31 light sensor to switch the DI60 ON/OFF when the sun sets and rises. 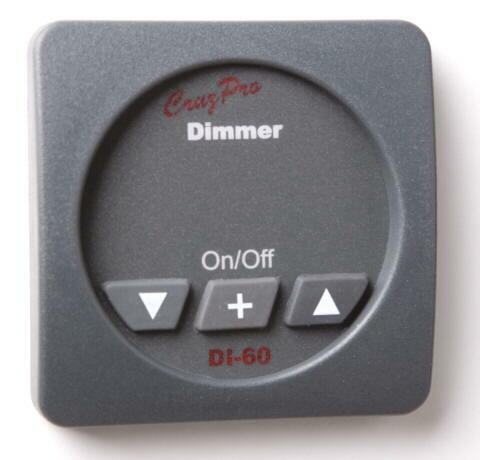 The DI60 draws only 0.017 amps and is designed to be left on continuously.